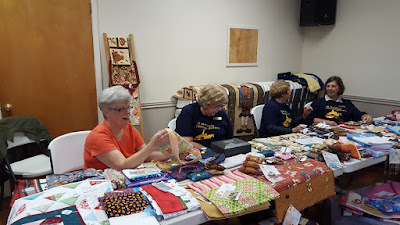 Time: 10:00 a.m. - W 3:00 p.m.
FAIRMONT — A quilt show featuring a raffle quilt opportunity and chances to benefit the Smithtown Community Building will be held Saturday at the Smithtown Community Building. 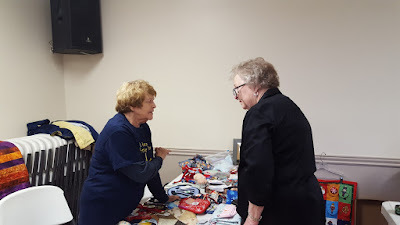 Hours are from 10 a.m. until 3 p.m. at the Smithtown Community Building. 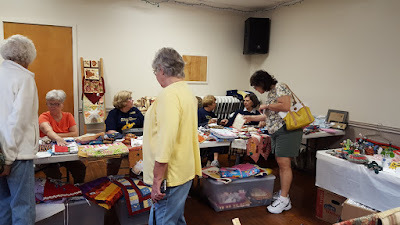 Fully crafted quilt gifts, projects and wall quilts will be featured. 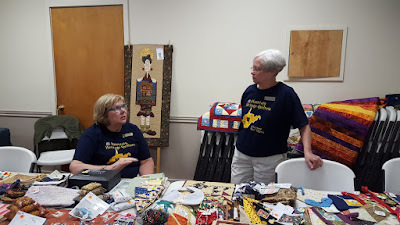 All items hand-crafted by members of the Mountain Heritage Quilters Guild. 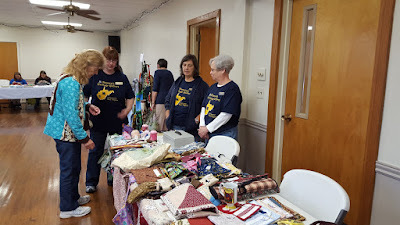 Funds raised will support guild educational programs. Food will be available, including hot dogs, soup, chicken sandwiches and baked goods. Many vendors will be available inside and outside the facility. They will feature apple butter, mincemeat, honey and more. There will be free parking. The Smithtown Community Building is located on W.Va. 73 near the White Day Golf Course. 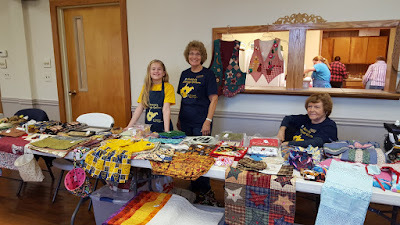 Mountain Heritage Quilters Guild has been busy putting the final stitches in many unique quilt-related gifts, projects and wall quilts for the community’s enjoyment and purchase. 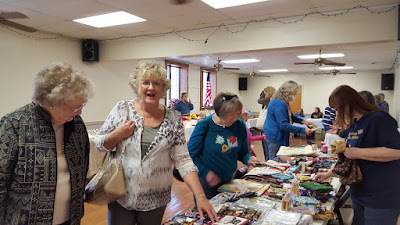 Admission is free to the Quilt Show and the Bazaar. Many vendors will be inside and outside of the facility. There’s plenty of free parking, too! It’s a great way to “kick-off” your Christmas shopping season. Where: Smithtown Community Building. Route. 73. Fairmont. Volunteers: Ann B., Katherine H., Sally W.
Bazaar Volunteers: Leah F., Carol F. & Emily Mc. Emily Mc. 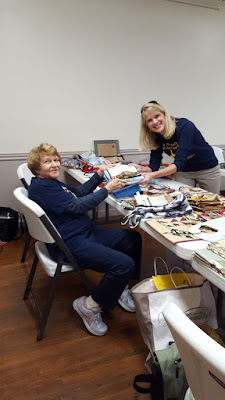 & Lynda S.
Guild Worker Bees ... volunteering! Laura D., Kathy G., Emily Mc., Katherine H.
Pricing Discussion ... Kathy G. & Sally W.
Shurleen G. visits with Emily Mc.